How do I add Tools? 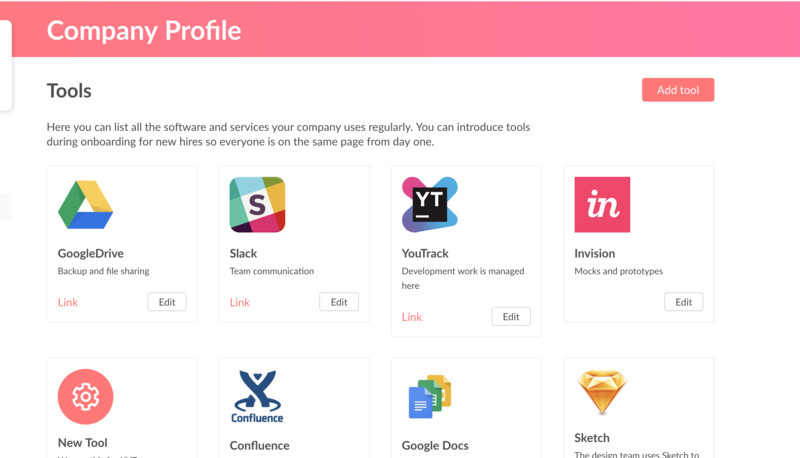 Tools are useful as a central source of information for all the tools your team uses. For example, project management, chat tools, email software, accounts. Start typing in the drop down box. The tool name and its icon will appear. The link will also appear in the "Link" box. Click the tool you want to add.